The short answer is that they are not different. The difference comes in when we look at the different testing methods used, specifically immunoassay screening testing (both in-lab screening test and POCT are examples of this) and confirmation testing (GC/MS or LC/MS/MS). A screening test is a test done via immunoassay method. There are two ways to do this. First, with a POCT test, which uses a lateral flow colloidal gold method. Secondly, at a lab using a chemistry analyzer that uses a liquid immunoassay process. The major differences between the two processes, with respect to the results, are that POCT only gives a positive/negative, where a chemistry analyzer can give a quantitative result. Either result requires confirmation using a different method. That is where GC/MS (Gas Chromatography Mass Spectrometry) comes in. Because the screening and confirmation tests are completely different scientific methods, the cutoff concentrations are different. Immunoassay testing is using a chemical reaction looking for common binding sites of a drug, where the GC/MS is looking for a specific molecule. To illustrate and explain this better, lets look at marijuana. 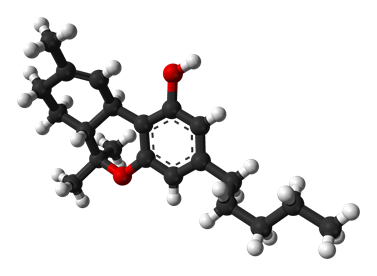 The parent drug of marijuana is THC, the psychoactive constituent is trans-delta9-tetrahydrocannabinol. When it is broken down in the body, it breaks down into more than 100 different metabolites. Of those 100+ metabolites, more than 5 metabolites (varied from “more than 5” to 30 metabolites in the literature) are present in the urine. The most common of those metabolites in urine is carboxy-THC (THCC); this metabolite accounts for ~30% of all of the metabolites in urine. During the immunoassay test, the common binding (antigen/antibody) site is the same in the 5+ different metabolites that THC breaks down into in urine. Because the immunoassay test is sensitive to all of the THC metabolites in the urine it has a higher cutoff level (50 ng/mL). During the confirmation test that is performed on either a GC/MS, or a LC/MS/MS (for us with Gamma, it is a GC/MS), the lab is looking for one specific metabolite THCC. Because it is only the one metabolite, the cutoff concentration is 15 ng/mL. Essentially meaning 15 ng/mL of THCC is equivalent to 50ng/mL of all THC metabolites in urine. The same holds true for oral fluid testing.